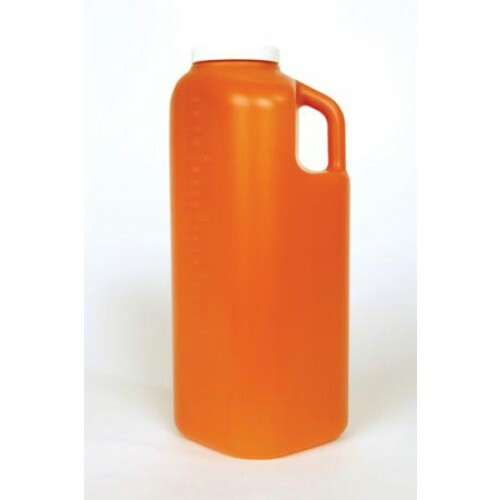 Medegen Medical 02090 24 Hour Urine Collector is a large-sized urine container able to hold up to 3,000 ml's of fluid for sample testing. A wide mouth at the top allows for plenty of space to collect sample specimens and is easier to obtain from the bottle. 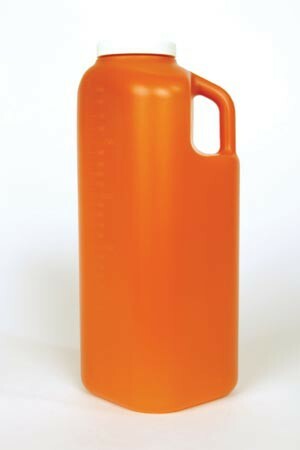 The tight lid is able to seal away the fluid and won't cause any leaking due to accidental cap release or spills. For convenience, labels are printed and easy to write on. The Collector comes in amber and natural colors for easy visibility and have graduated markings from 100 to 3,000 milliliters.